I believe that is Mandarin Chinese - wongkongpow dialect. I believe it's in Japanese. 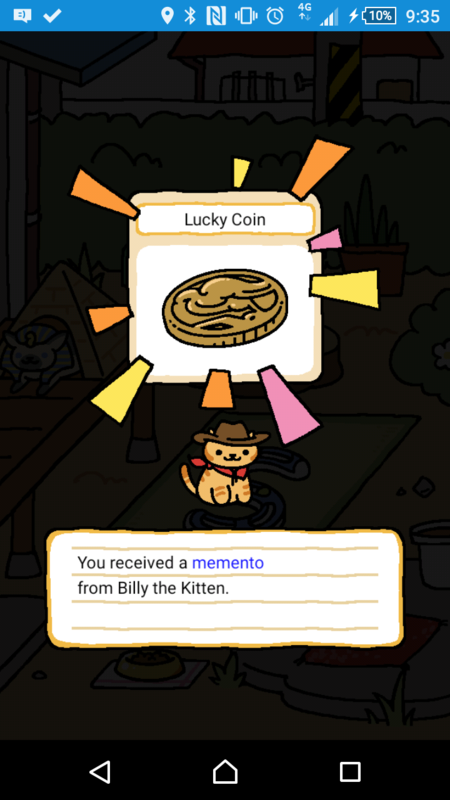 :-O My first rare cat memento!! I tried it. It's underdeveloped at this time. 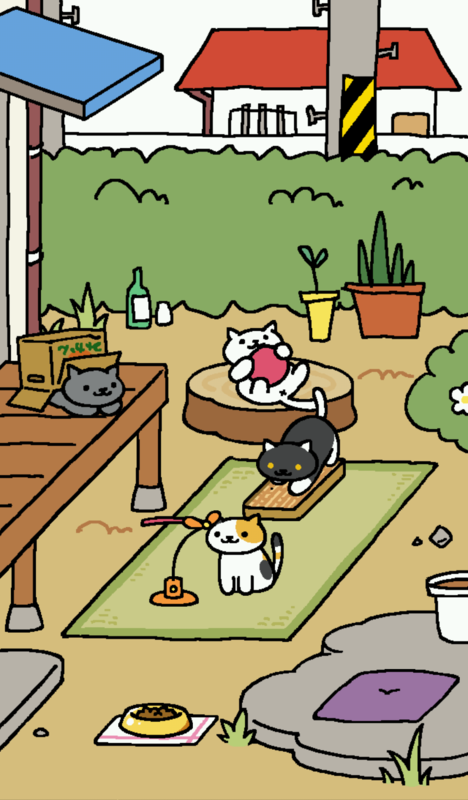 Would still stick with Neko Atsume. 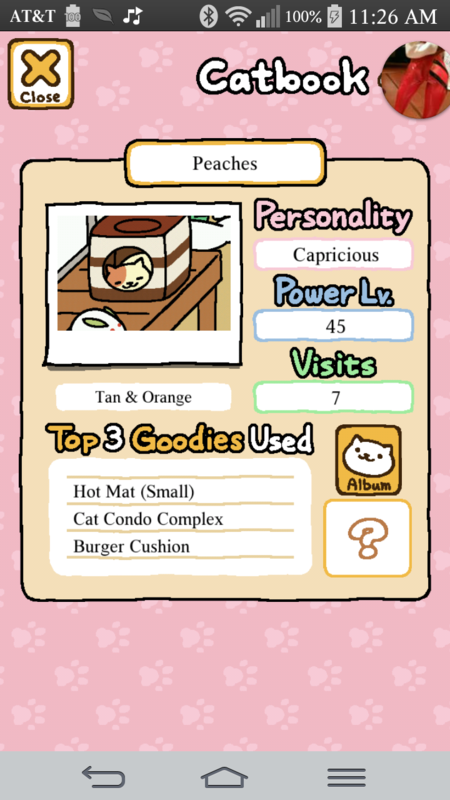 Ah Tubbs, we meet at last. You already ate all my food, just leave! If you rush him, he doesn't leave the big tips though. A cat likes to let a meal digest. 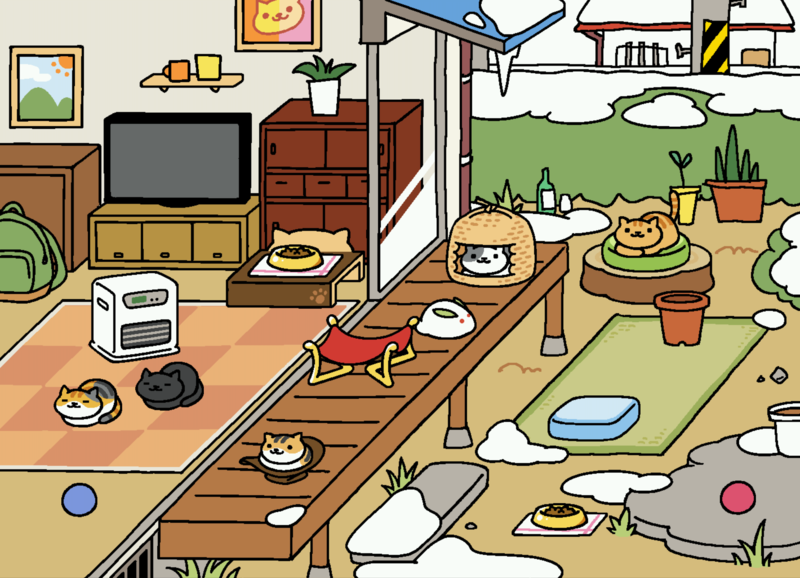 Finally got the yard expansion. 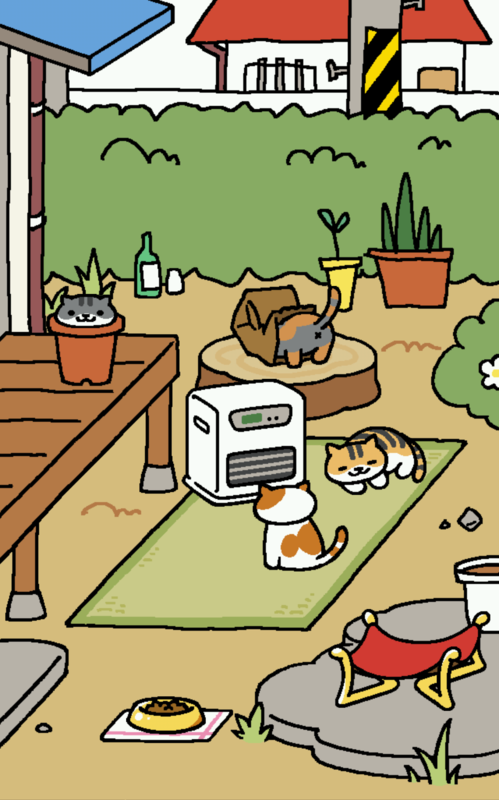 These kitties love the space heater. 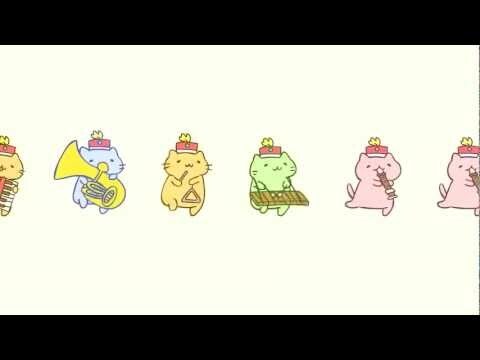 This video is of a Japanese origin, and draws the cats in a similar style but is otherwise unrelated. 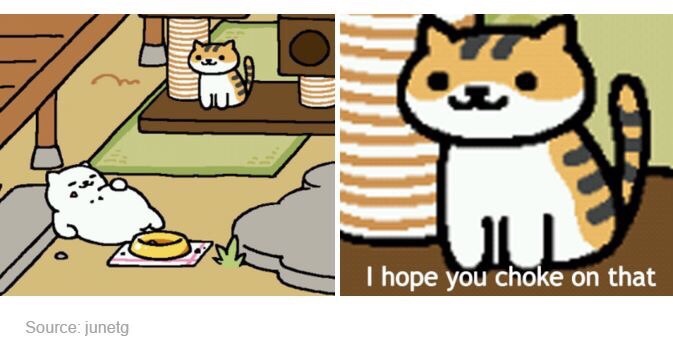 Put your fancy food inside the home and Tubbs won't eat it. Tubbs is an outside cat and some how still so fat. 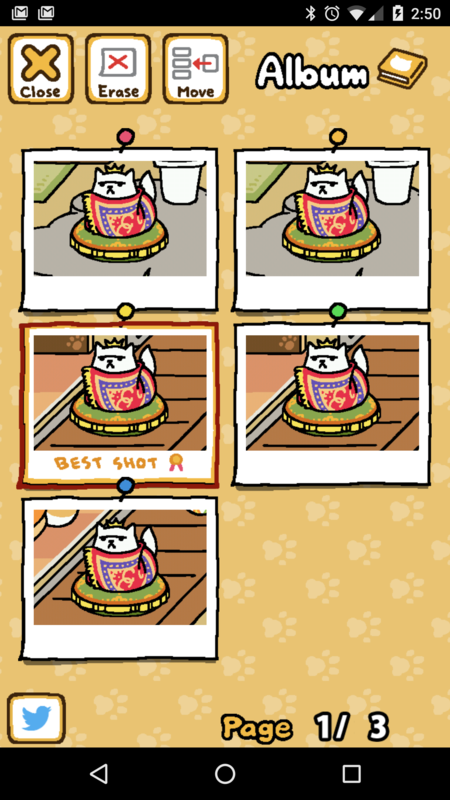 I've purchased extra picture pages for three of my kittehs. What have I become? Every night for 4 weeks I look for her. Every lull in the game I'm playing, every time I move on to the next YouTube video, every commercial break, I check for her. For 4 weeks I missed her. Last week while playing Overwatch. The week before while I slept. Last night was no different. Crasino, Rocket League, she eludes. 11pm I went to bed. Now You See Me was on and there were no further showings so I stayed up to watch it. Great movie. Each commercial break, she was not there. The movie was over, I turned off the light and TV and laid down. Silence. "Bah, I need to check one more time"
I rolled over, picked up my phone and logged in... there she was. Peaches. Took some pics and went to sleep. 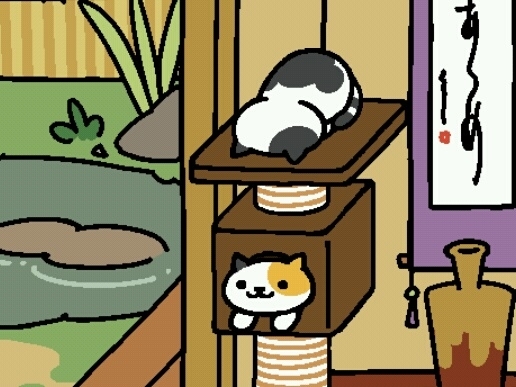 I believe I have offially found the one cat more elusive than Peaches. 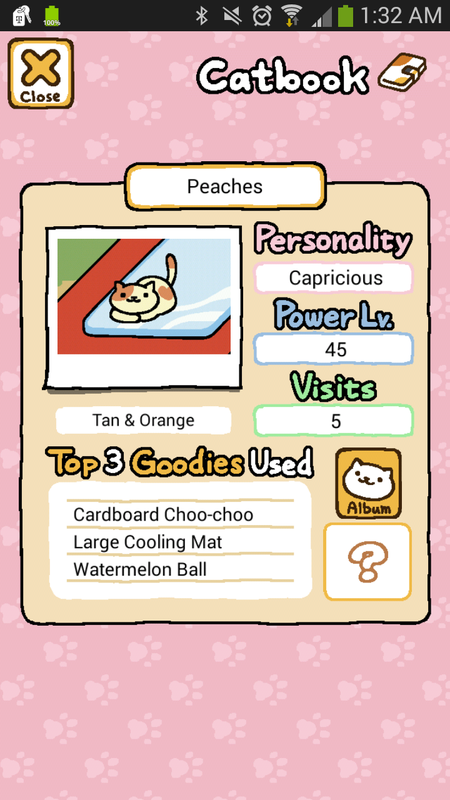 Peaches is old news now she's shown up like four times in three different toys. 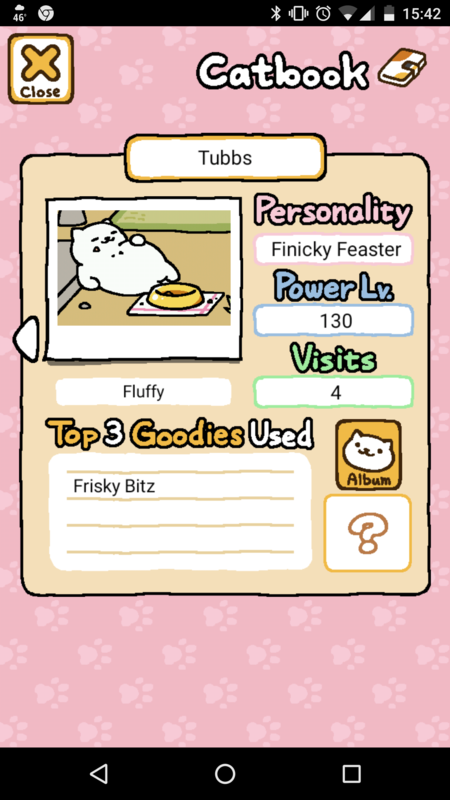 I am down to the very last cat I have yet to see and FROSTY is the name of the day. Frosty showed up at my house about a week ago. I immediately renamed it Bad Mr Frosty.